It's official, mark your calendar because Apple has sent out its annual press invitations to its September 10 media event where the company will announce the new iPhone 5S and iPhone 5C devices. But we all knew that already. 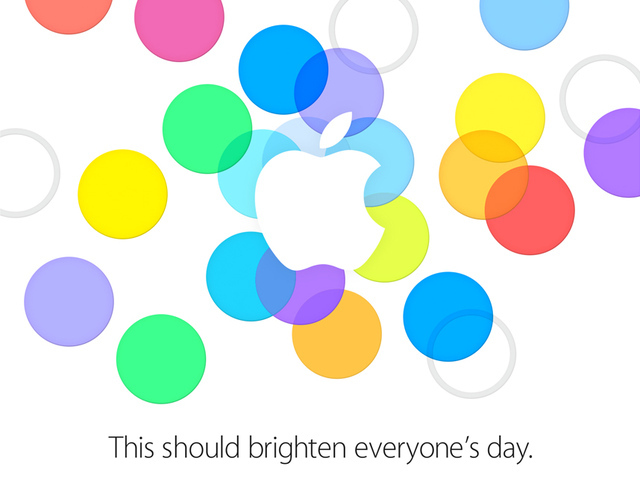 The event will begin as usual at 10:00AM PST, but will be held at Apple's headquarters. The vibrant invite card reads "This should brighten everyone's day". And if you note at the colors in the graphic, they perfectly match iOS 7's theme as well as the colors we learned that the iPhone 5C will be offered in.